He graduated from the Military Medical Faculty at the Tomsk Medical Institute with a degree in "General Medicine" in 1998. He completed his clinical residency in radiology and radiology at the Saint-Petersburg Military Medical Academy in 1999. From 1999 to 2009 he was working in the Leading Military Clinical Hospital named after academician N. N. Burdenko as a senior doctor of the Ultrasound Diagnostics Department. Annually takes part in final conferences in the LMCH named after N. N. Burdenko. Emergency ultrasound diagnostics, oncology. 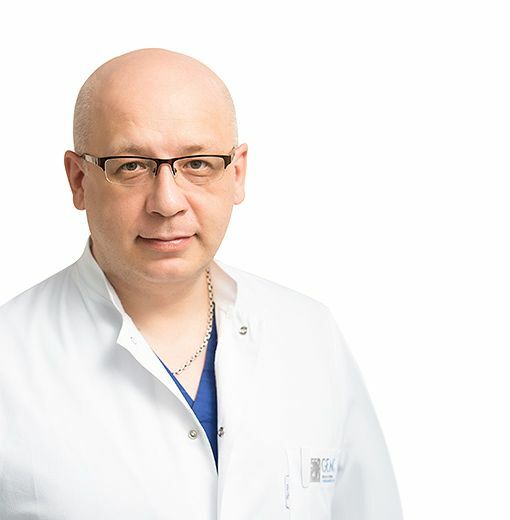 He is skilled in ultrasound techniques in gastroenterology, uronephrology, gynecology and traumatology.